There's no bad weather for making good photographs. I have been praying for the sun and some beautiful cherry blossoms for this Spring engagement shoot with Stephanie and Jason at High Park. That's what Stephanie has been wishing for. After some scheduling and rescheduling, we were still out of luck. The day we've decided on was unfortunately dark and windy. Most of the cherry blossoms have been blown away after the storm the day before. I arrived early to scout for a good spot for some remaining flowers and found a couple other interesting spots at that were perfect for intimate and candid shots. There's no bad weather for making good photographs and sometimes the most unexpected situations are the most inspiring. Although during the shoot Stephanie was still worried that the gloomy weather might affect the quality of the photographs and also that her nervousness might show in the pictures, I think we captured some of her best moments with Jason. 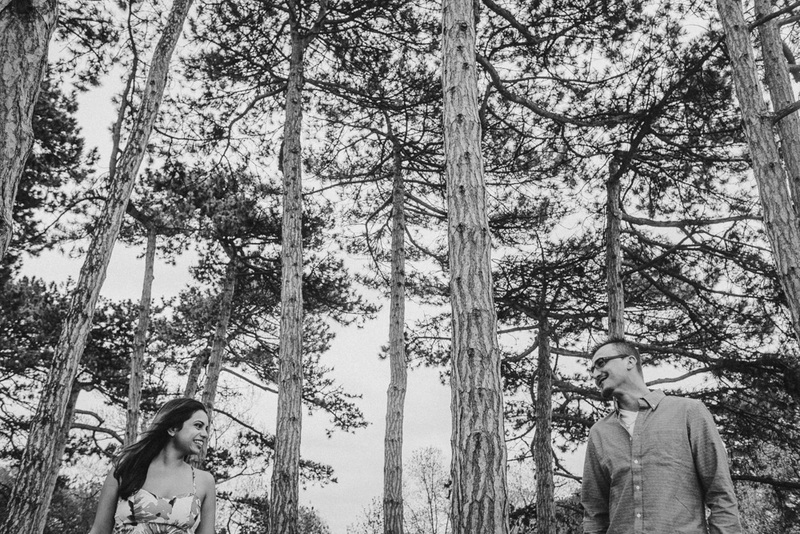 These frames turn out to be great and both Stephanie and Jason look natural and beautiful. 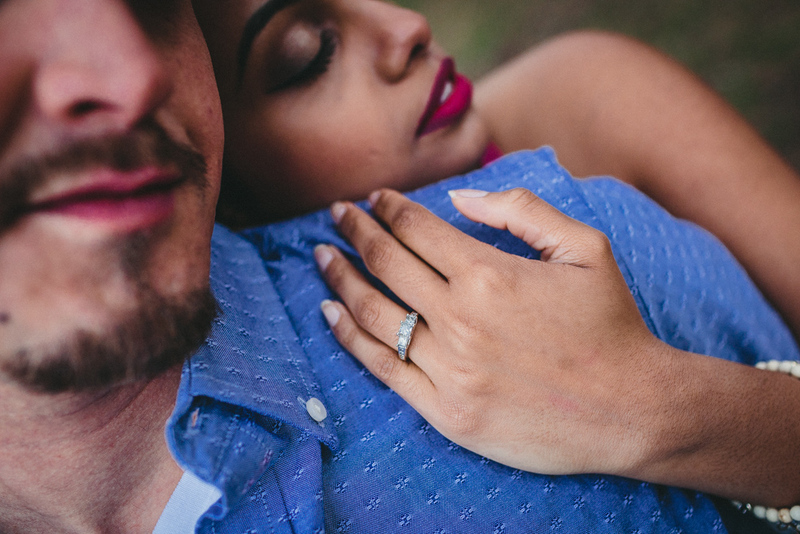 It's always a good feeling coming out from an engagement session learning more about my couples and making them more at ease and confident in front of the camera. I can't wait to document their wedding in a few months.